virtual marketing team and a new content marketing strategy. 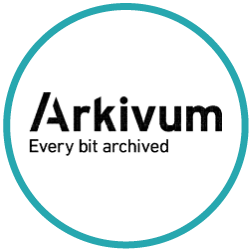 Arkivum is a fast-growing technology start-up that specialises in digital data archiving. The company provides data archiving services to a range of industries including higher education, healthcare and heritage. As a growing business, Arkivum needed access to a full marketing team on an outsourced basis to manage all marketing activities, including: strategic planning, campaign delivery, PR, telemarketing, event delivery, website updates and data management. Arkivum’s main focus was on enhancing the company’s presence, reputation and credibility in the marketplace. Delivered a marketing plan to raise brand awareness, generate leads and create opportunities for the sales team. Executed a range of marketing programmes, including breakfast briefings, webinars, email campaigns, blog updates, news releases and social media activity. Developed joint partner marketing programmes for the higher education sector, consisting of a series of webinars and several industry events. Implemented a new website based on the WordPress platform, integrated with a new email platform for lead capture. Managed a telemarketing team to follow up campaign activity and deliver participants to breakfast briefings and webinar events. Enhanced and segmented existing contact data based on different levels of interest in Arkivum’s products and services. Arkivum’s marketing programmes have gone from strength to strength. Email open rates are higher, increasing from an average of 10% to 35% across all campaigns. Website traffic has doubled year on year and there is now a steady stream of inbound leads for the business. “Marketing Fusion hit the ground running and hasn’t stopped delivering. Through working with the team, we’ve learnt a lot about where content marketing can add measurable benefit to the business. We’ve seen our marketing programmes generate awareness and deliver a number of opportunities for the sales team.